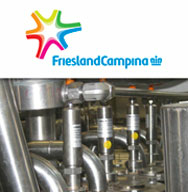 Level control in a filling system for different kinds of yogurt. 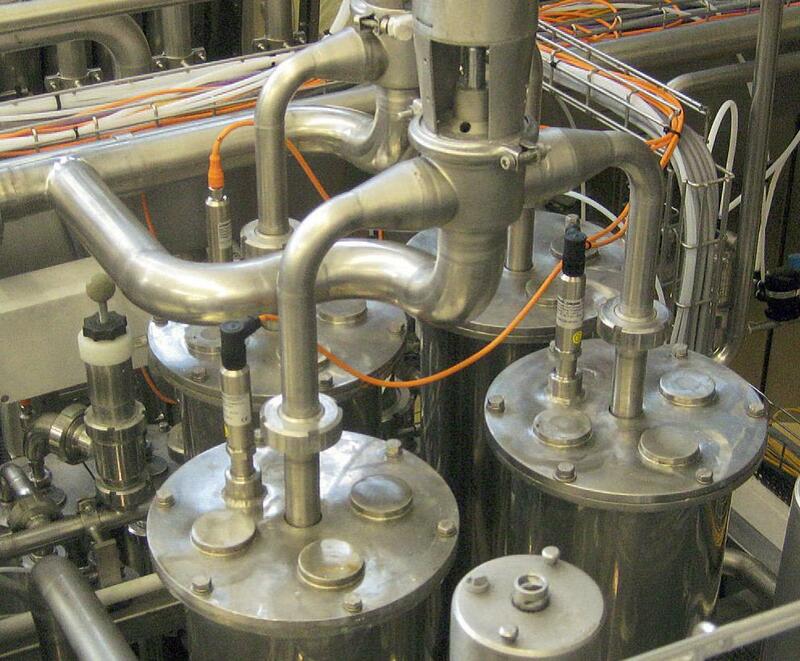 To be able to set the product quantity, the empty, half-full and full levels need to be monitored in the pre-filler and main filler and controlled by a pump. 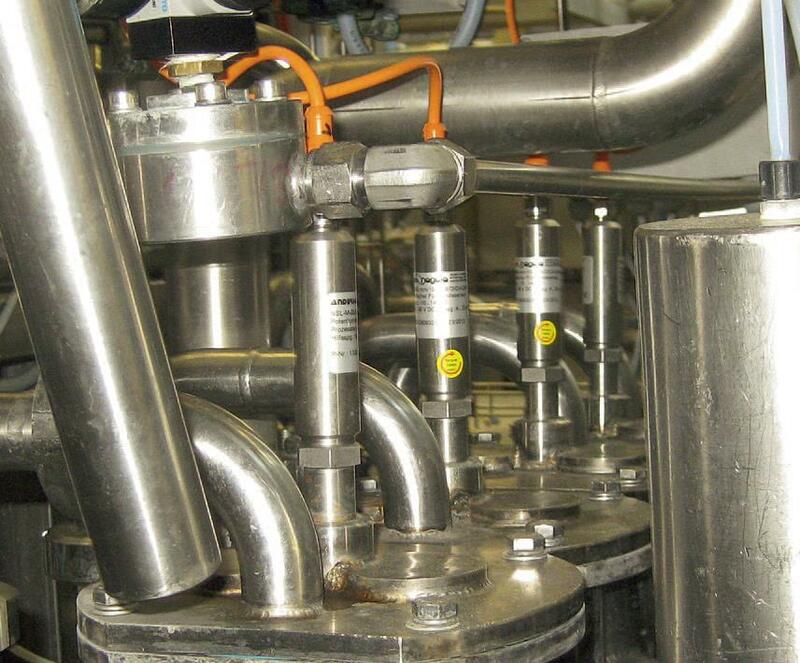 Until now, conductive limit sensors were used to measure the three filling levels. Different kinds of yogurt as well as product adhesion to the sensor repeatedly led to false measurements. Occasionally, this caused the containers to overfill and the pump to run dry. The universal potentiometric measuring principle of the NSL-M can be used to continuously measure the filling level in the container without having to make a separate setting for each product. Combined with another measuring principle, which measures the immersed state of the sensor in the medium, this sensor can be used for products such as yogurt that adhere to the sensor. Different kinds of fruit can be filled without having to create settings for each specific product. Instead of requiring three limit sensors as was previously the case, only one continuous level sensor with a two-wire technology is now required. This reduces procurement, installation and service costs. Additional dry running protection is no longer necessary. 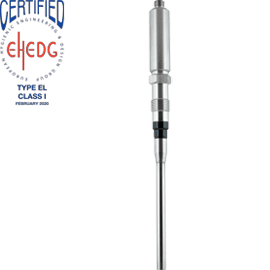 The NSL-M continuous level sensor makes it possible to control the level precisely. Because the filling height in the fillers is constant, the filling quantity can be set precisely and this quantity is reliably maintained. Different kinds of fruit can be processed without having to set the system for each individual product.